The patio table is a slightly formal, but welcome addition any deck or backyard. 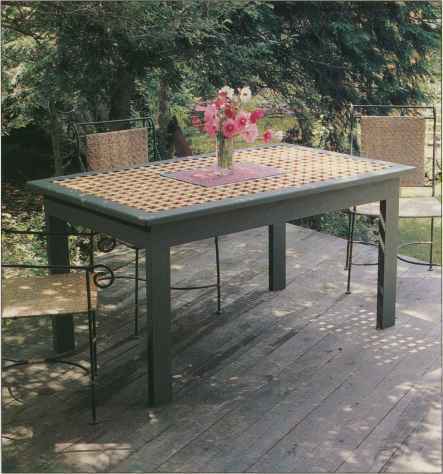 The lattice grid lends a lightness to a fairly large table. A clever design element holds the grid in place with no need to cut a surrounding rabbet. The inside length and width of the frame are 1 lA inches longer than those of the table base. This creates a 3A inch ledge to hold the grid on top of the rails, within the frame. 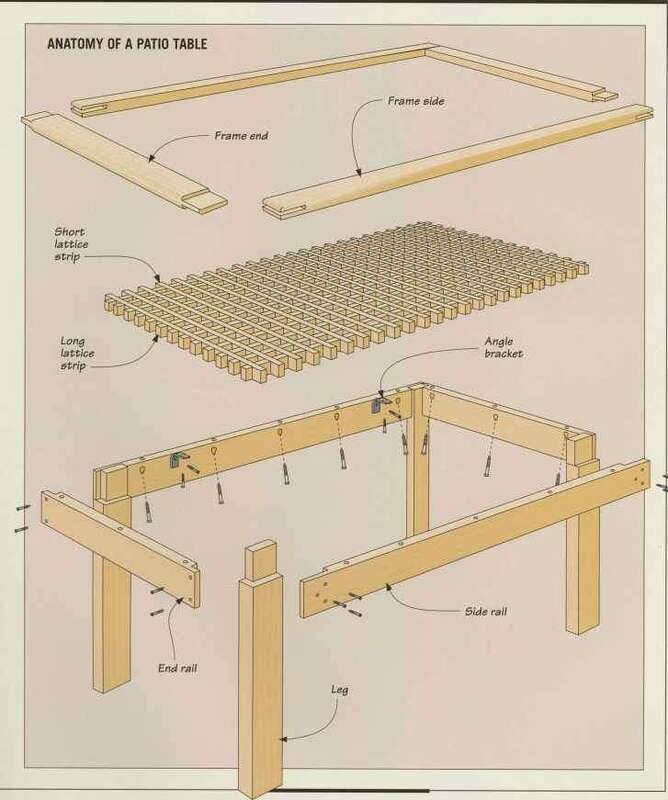 The grid itself can be assembled on the workbench and then installed in the table. Prepare the strips one inch longer than cited in the cutting list, cut the dadoes for the half-laps, then trim them to fit (page 88). Though delicate looking, the table is far from flimsy. But, while it will hold up to reasonable use, but do not expect it to withstand the same stress as your oak dining table. The base and the lattice grid of the patio table are easy to separate, lending itself to this striking finishing technique. The lattice grid was removed as a whole unit and finished with tung oil and spar varnish. The rest of the table was stained with a dark green opaque finish, creating a contrast that highlights the lattice wood's natural color. The grid of lattice strips lacks the ing, the corners are joined with bridle same strength and rigidity as a solid top. joints, which offer twice the gluing surTo increase the top's resistance to rack- face of half-laps. 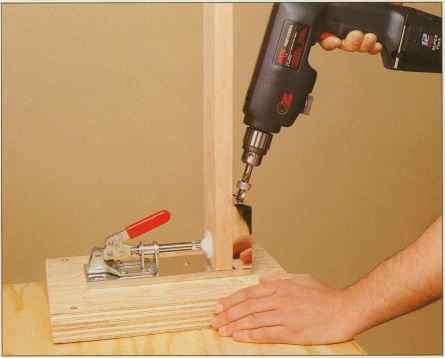 Pocket holes are an excellent choice for attaching the table frame to the rails. They can also be used to join a rail to a post. The commercial jig shown at left enables you to bore the holes with a minimum of setup time. The device clamps the workpiece in position and features a bushing that holds the drill bit at the correct angle. The combination bit shown bores a clearance hole for the screw shank and countersinks the hole for the head in one operation. A stop collar attached to the bit regulates the drilling depth.